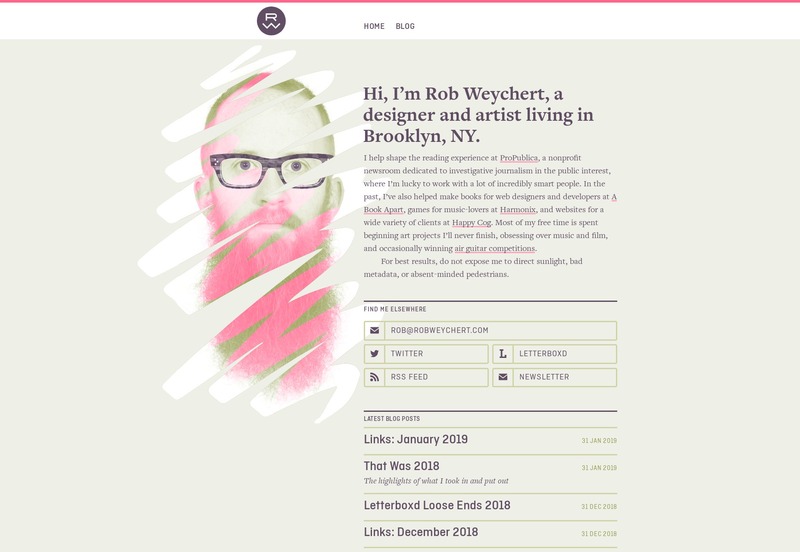 Rob Weychert’s portfolio may not be new as such, but I just found it… and probably should have found it sooner. He used to be a designer at Happy Cog, and is now at ProPublica, so you should expect earthy tones and fantastic typography. He sells his expertise mostly through his client list and his extensive blog, using the “go look at my work, it’s super famous” approach to marketing. The Transatlantic Film Orchestra do exactly what you think they do. 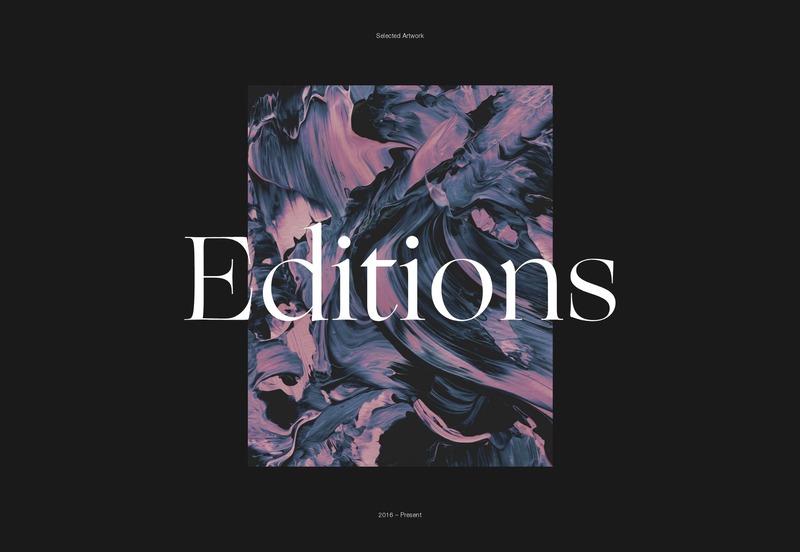 Music for video. And on their website, they do it right: no music plays when you load the site. 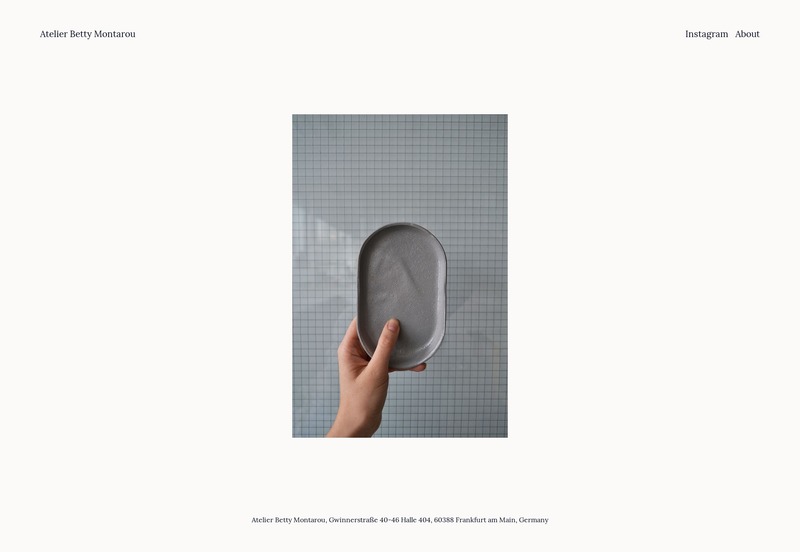 All you get is a calm, dark, and monochromatic one-page portfolio. I do particularly like the implementation of the audio players, though. 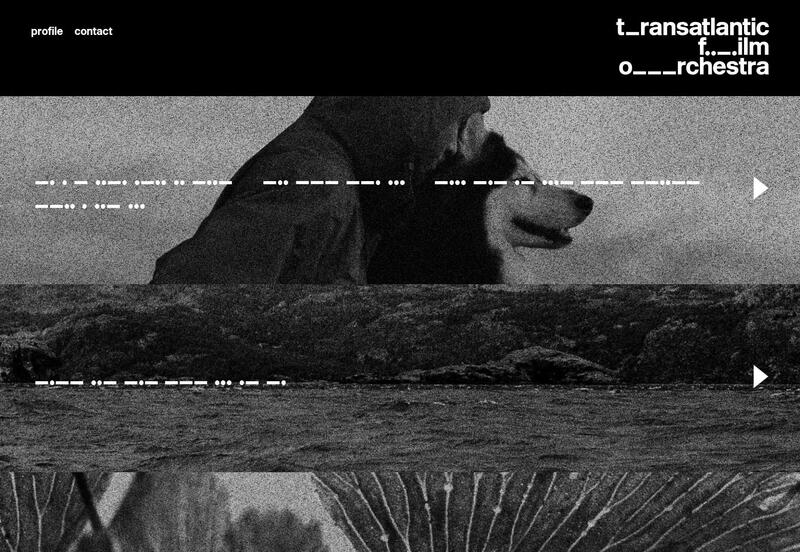 The Morse code, the grainy photos, it all works. Ramon Gilabert’s portfolio brings us a calming and classic minimalist design combined with some beautifully-used SVG graphics. Mind you, it’s a little confusing when you click on the “social” link in the navigation, as the social links are practically hidden at the bottom, on the right, and on their side. Otherwise, it’s a beautiful and charming design. 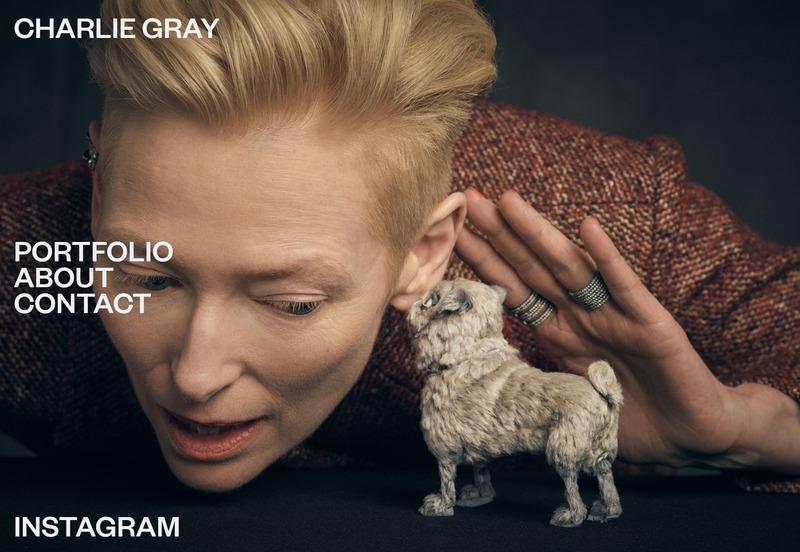 Charlie gray’s portfolio is full of cinematic-looking photography and Hollywood celebrities, so this layout that feels like a cross between a magazine layout and a PowerPoint is actually right on the money. I’d almost be disappointed if a site like this wasn’t loaded down with a bit too much JS. In the end, it’s the images that sell everything anyway. 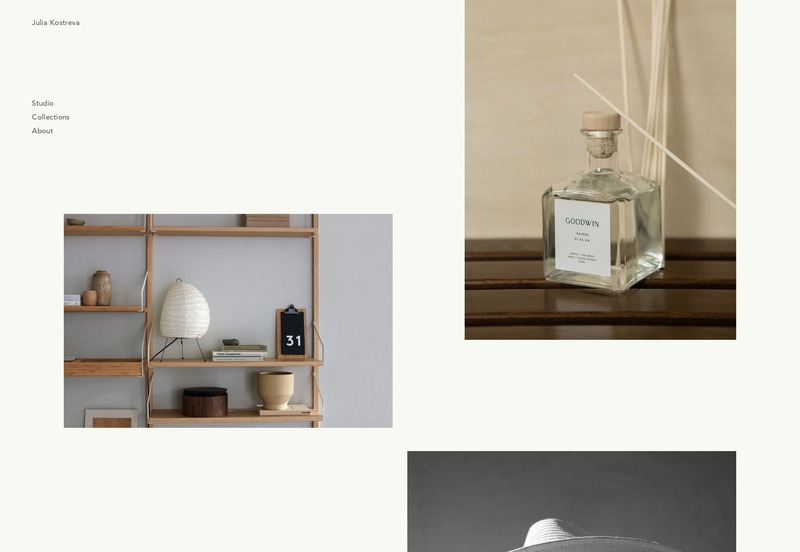 This portfolio is pretty much an art gallery, and it embraces the theme with a full-screen slideshow on the home page, lots of white space, and monospaced type. It’s a classic approach and it hold up well in this case. 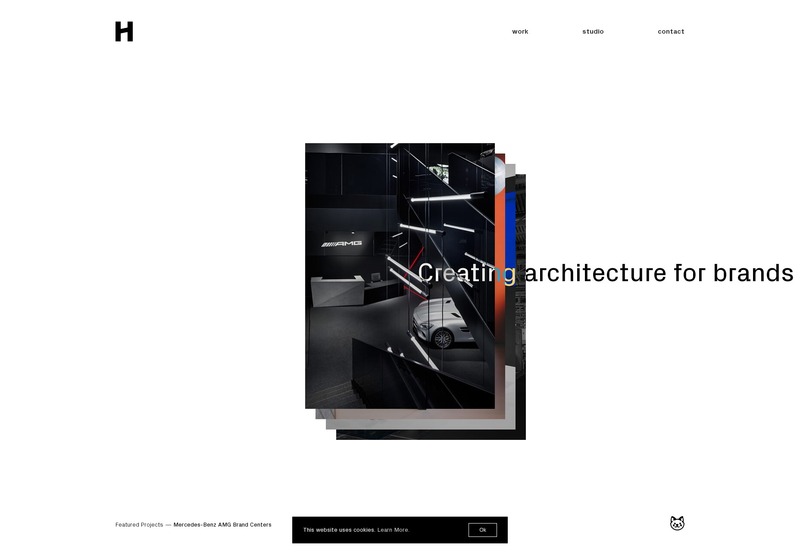 Atelier Florian Markl has taken the inherent “blockiness” of web design and absolutely run with it. 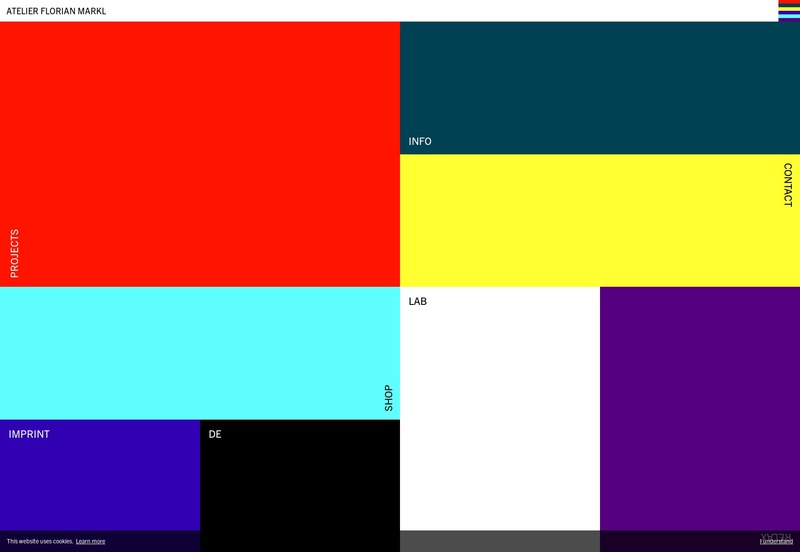 The theme of the day is rectangles and bold colors. You might have a hard time seeing anything, but once your eyes adjust to the glare, you won’t forget this highly modernist design in a hurry. Nathan Mudaliar’s copywriting portfolio may not be the fanciest out there, but it is a master class in showcasing your work creatively. 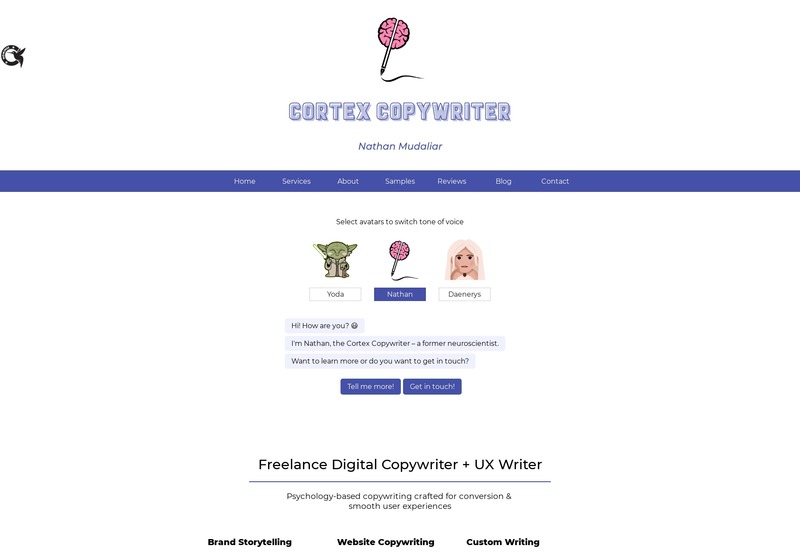 There’s a sort of conversational bit of UI where he showcases his work in different “voices”, interactive examples of his copywriting techniques, and more. It’s a bit hard sell, perhaps, but you can’t argue with results. 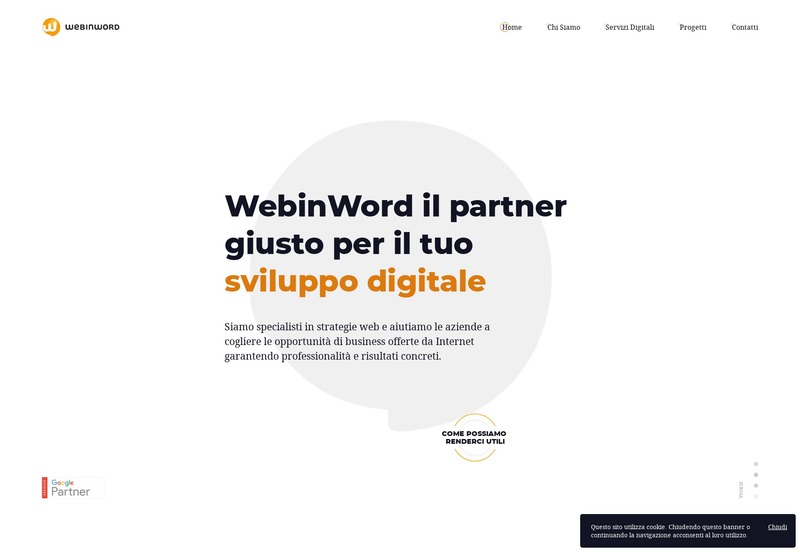 WebinWord know how to to stick to a theme. 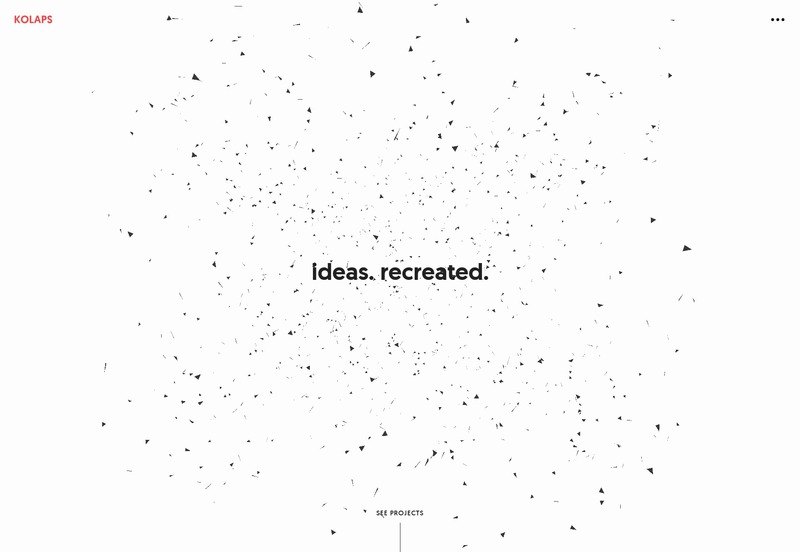 This minimal-ish but highly animated site manages to use the shape of their logo mark all over just about every page. And weirdly enough, it works. Okalpha goes right for bright colors and pseudo-3D graphics to catch your attention. Honestly, they’re using the same colors and shapes people have been using on us since we were toddlers, so why wouldn’t it work? Slightly kid-ish or not, I think it works. 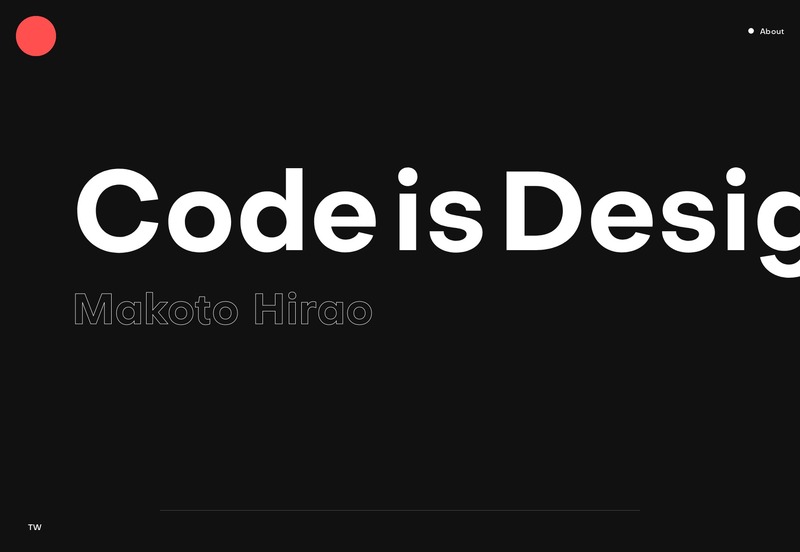 Makoto Hirao’s portfolio is ticking a lot of boxes for me, including great type, good use of imagery, and a horizontal home page layout that I actually really like, and that feels intuitive. My only real criticism would the the usual one about JS dependence. 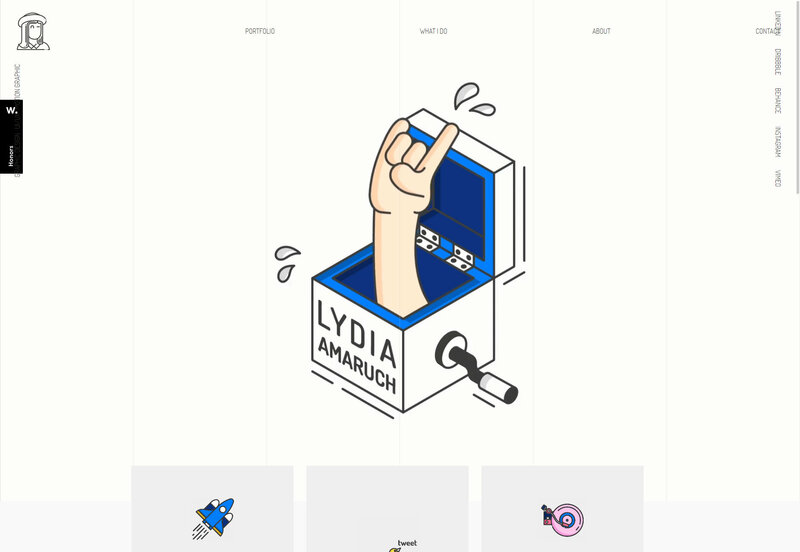 Lydia Amaruch brings us a beautiful grid-themed portfolio (I am, as always, a sucker for this look) combined with some fantastic illustrations, and decidedly modernist layout. Some bits are weirdly low-contrast, but it’s a darned pretty site overall. The Sweetshop, being a video production company, naturally puts a lot of video front and center with the dark layout you’d expect. But even so, their typography game is surprisingly strong, and there’s not a serif in sight. Even their press releases look pretty. 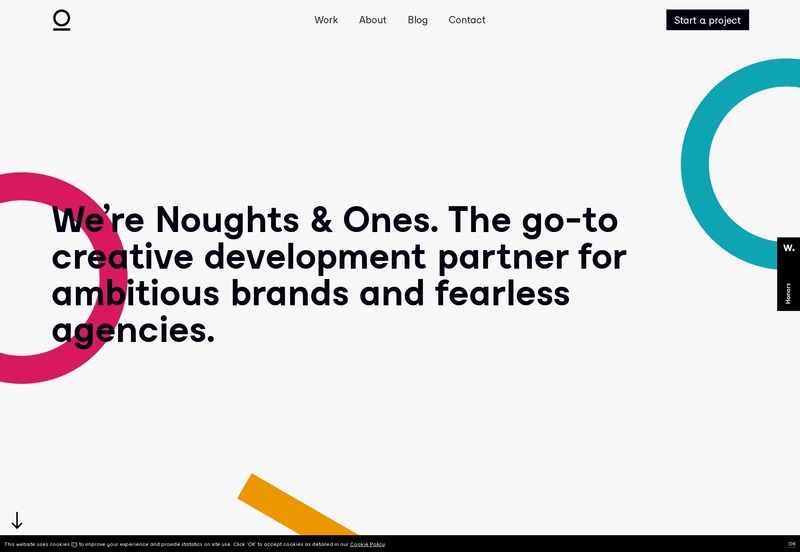 Noughts and Ones is another agency that’s sticking to their theme, with their branding being a big part of their site’s aesthetic. Other than that, it’s pretty classic minimalism. 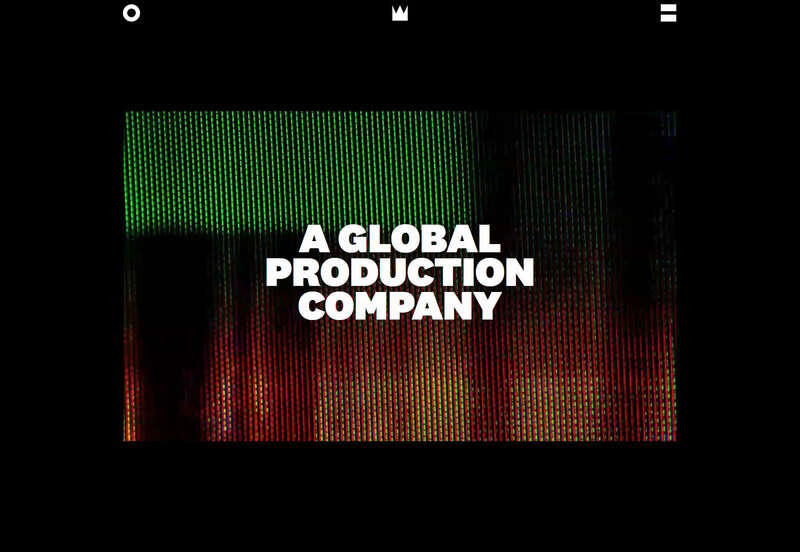 I personally adore their footer. Is that a weird thing to say? If I had to describe Margaux Leryo’s portfolio—and I do, that’s my job—I’d call it a fusion of ‘90s era futurist design with more modern trends. It’s dark, it’s sleek, and some of the text might be a little too small and low-contrast. Why did we think text would be that small in the future anyway? Did we think everyone would have augmented eyes? Anyway, flaws aside, it looks fantastic. Julia Kostreva’s portfolio keeps it simple with some pseudo-asymmetry and soft tones. As a branding designer, she lets that branding work do, well, most of the work. And it works. 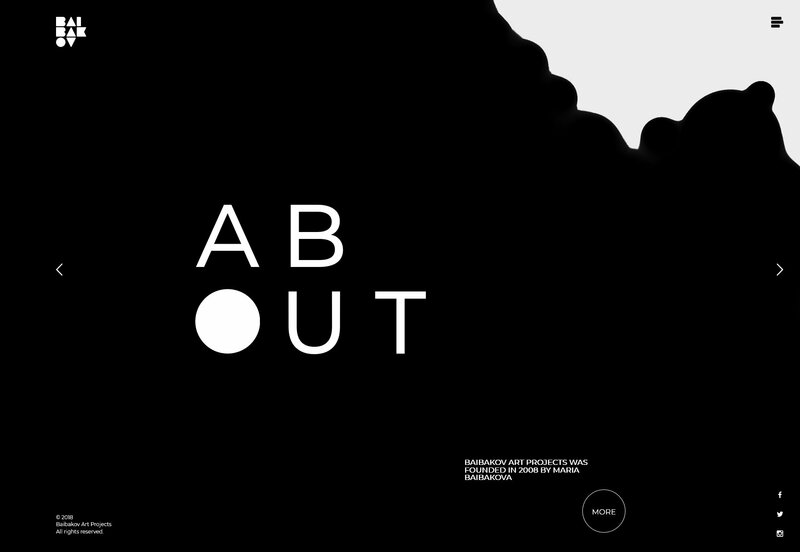 Baibakov Art Projects takes the monochromatic to another level, and the animations are only sometimes in the way. It’s tall, dark, and elegant, like the work it features. 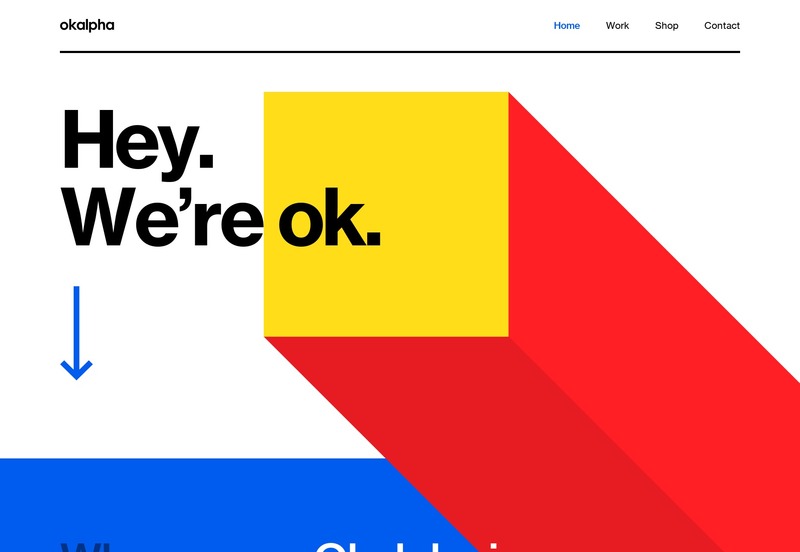 Fantastic use of asymmetry, too. Kolaps has a decidedly modernist design that feels at once very “business-friendly” and quite eye-catching. 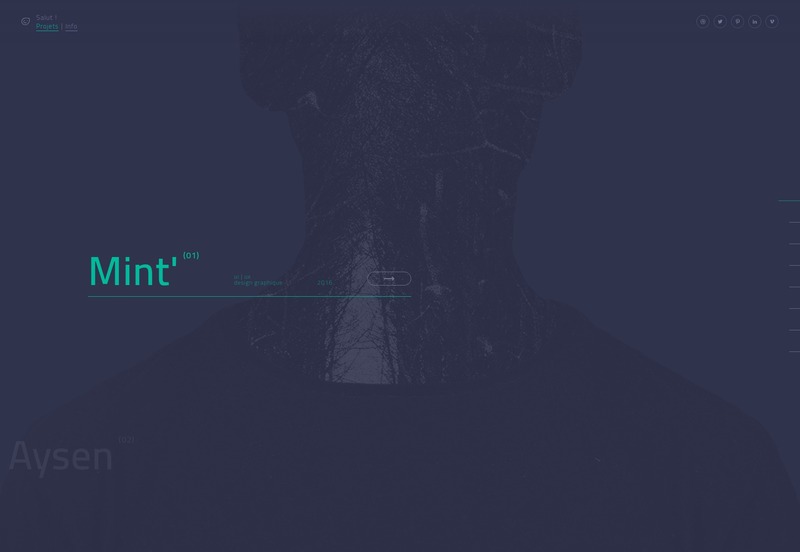 It’s classic minimalism come back again with a touch of sci-fi futurism and particle effects. Betty Montarou’s portfolio is kept dead simple with a sort of “click to collage” method of showing off her work. It keeps the whole experience down to about two pages, and only shows off the very best of what she does. 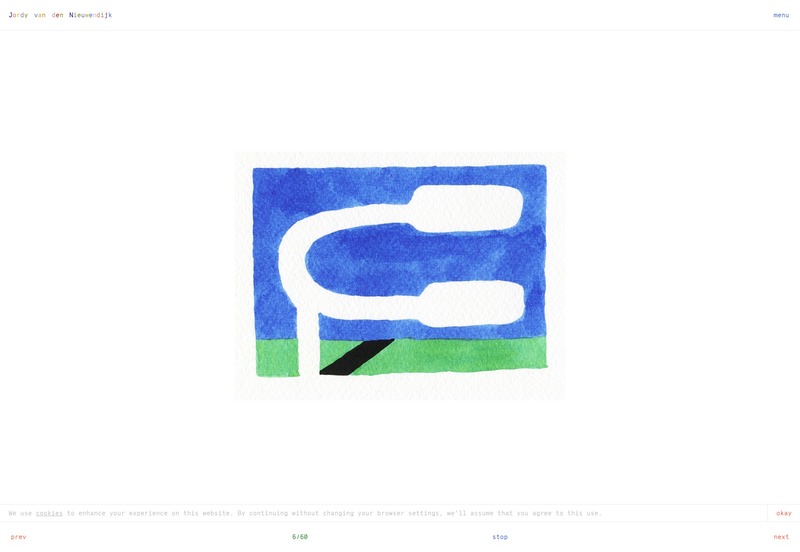 Jordan Sower’s portfolio is another artsy one that sort of mimics the art gallery aesthetic a little. Still, it’s pretty. It’s interesting in that it functions as a portfolio and a store at the same time, but the store is kept almost hidden unless you actually click a link to buy something. It’s a store without the hard sell, and so it’s free to be artistic in its own right. And finishing off our list we have another monochromatic design with Heller. It’s modern, it’s pretty, and it has an interesting approach to the collage patterns we see everywhere. This one is definitely going for a futurist feel, even as it’s grounded in the trends of yester-month. I like the horizontal swipe-in animation they use for images. I mean, if you’re going to animate everything, why not give it that Star WarsTM feel?